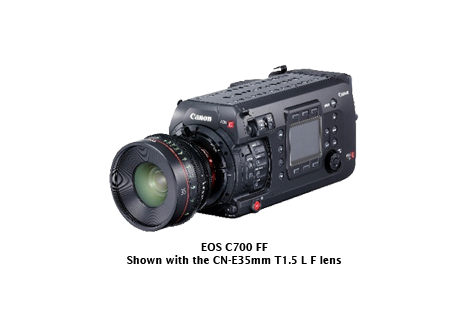 SINGAPORE, 29 March 2018 – Canon today announced a series of firmware¹ updates which will be made available in June 2018. In step with the transition to on-location HDR video production, Canon will release free firmware updates to expand HDR monitoring assist functions and enhance HDR display performance. This update contributes to improved efficiency for HDR video production work through its ability to display the luminance value of a selected part of the screen as well as the maximum and average luminance values of the entire screen. In addition, the updates allow for automatic switching of image quality settings based on parameters including resolution (4K/2K), video payload ID² and HDMI metadata³ when changing input signals through a camera or switcher. In addition, 12G/6G-SDI 4K video signals can be resized to 2K, enabling the simultaneous display of two or four 4K images on a single display4. The updates also boast of features that support workflows in on-site video production environments. The Remote Web Control5 function, for instance, enables users to monitor video and operate the display using devices like a PC or tablet while enjoying enhanced compatibility with third-party digital cinema cameras. 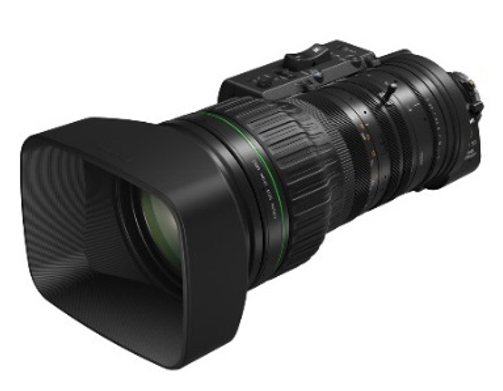 Canon will also offer a paid upgrade6 license for its 17-inch models, the DP-V1710 and DP-V1711, to increase their maximum luminance7 to 600cd/m². Raising the maximum luminance improves the displays' ability to showcase details in bright areas of the screen. This is useful when monitoring high-brightness footage in environments such as outdoor shooting locations or inside studios and relay vehicles. 2 Ancillary data determined by the Society of Motion Picture and Television Engineers (SMPTE) that is attributed to a serial digital interface (SDI). 3 Includes such data as color gamut, gamma and maximum luminance. 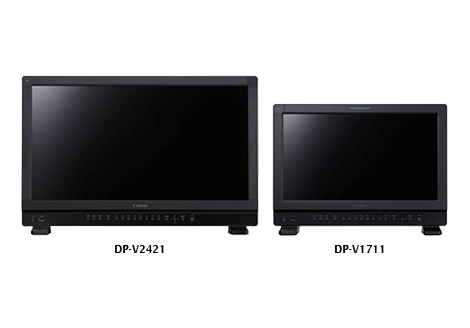 4 12G/6G-SDI is supported by the following models only: the DP-V1710, DP-V1711, DP-V2411 and DP-V2421. Dual-link 6G-SDI is not supported. 5 For information on usage requirements for LAN and wireless LAN, please refer to the operation manual. 6 For more information on paid upgrades, please refer to upcoming announcements. 7 This value is a standardized value achieved when operating on an AC power source, and cannot be guaranteed.